JYJ member Kim Jaejoong expressed the inconvenient of wearing hair in a bun. 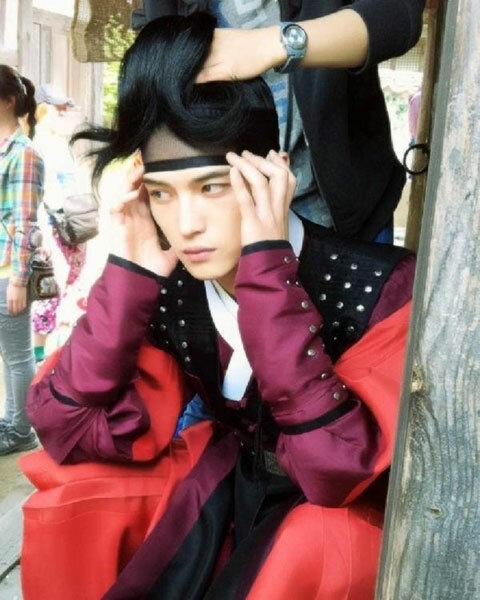 On the morning of May 16th, 2012, Kim Jaejoong uploaded a photo of himself while wearing bun on his hair while filming the TV series “Time Slip Dr. Jin” on Twitter, drawing laughter. In the photo, he was pulling the bun with the help of crew member, but expression was somewhat uncomfortable, seemingly giving up on himself, and stared at a place with a trace of cold feeling. Netizens said, “Look at the expression wil know it’s uncomfortable,” “Feeling as if he will lost his temper if wanting him to pull the bun again,” “This expression is losing will of life?” and other responses.